The leader of North Lanarkshire Council has slammed the Scottish budget as “catastrophic” for the area. Despite Scottish Government assurances the budget will bring more health care funding, maintain the pupil Equity Fund, provide £5 billion for infrastructure, replace or reform council tax and provide more cash for local authorities, critics believe it will hike up council tax. 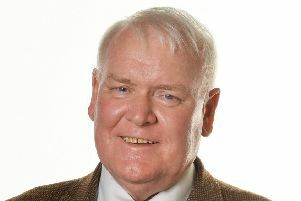 In the Scottish Parliament, the budget passed at stage one after Greens and the SNP struck a deal, but council leader Jim Logue says the real effect will be millions being cut from council spending. He said: “Despite the SNP’s best attempts to spin this settlement North Lanarkshire Council will now have to make cuts of approximately £30m. “Although the Finance Secretary said he has Green Party support for all three stages of the budget process, I would urge all SNP MSPs in North Lanarkshire to think again and represent the interests of their constituents as the budget continues through Parliament. The SNP group at the council welcomed the settlement, claiming it will allow them to “bring forward a budget for the people’s priorities in North Lanarkshire”. Its leader David Stocks said: “This deal ensures local government receives a fair funding settlement despite further cuts to the Scottish budget from the UK Government. “For North Lanarkshire; this enhanced package offers up a potential further £11m of increased funding and a guaranteed £6m.